For those seeking to understand financial terms, this short write-up will let you understand the 50 Day Moving Average. It is also known as the % 50d MA. Take a few minutes of your precious time to have a better understanding on its definition and significance. What does the %50 DMA mean? This is basically the average of the stock price on the last 50 days. It frequently acts as the resistance or support level when you will be trading stocks. The % 50d MA provides a measurement on the distance of the last close price. It will give you a better idea if the stock will gain strength or weakness, and what the future trend will be. The moving average affects the % 50d MA. This is because the moving average will trail the very nature of the price. As the prices move up, the moving average often happens to be below the price. The opposite happens when the prices move down, since it will be above the existing price. However, if the short term 50 day Moving Average will become higher than the long-term Moving Average, which is at 200 days, we call it as the Golden Cross. If the opposite happens, we call it as the Death Cross. As the 200 day long term Moving Average’s indicators have more weight, the Golden Cross might bring about a possible “bull market” in the near future. The high trading volumes usually reinforce this possibility. How do we define a moving average? Here is a clear definition of the moving average, let’s have the assumption that you have closing prices on 5 daily stocks on the weekdays. All of them will be averaged together for you to know the weekly average. On the next start of the week, Monday, a moving average can already be created by dropping the previous Monday and adding it on the following week’s Monday. This will then be the new 5 day average for the new weekday. The closing prices might get a higher or lower trend on a daily basis. There is also a possibility of a new line trend to develop. The best preference is to use the exponential moving average because there is a heavier weight on the more recent prices. How important is the 50 – DMA? Many use the 50 day Moving Average because of how simple it is. Also, this should rank high on your list because of its reliability and accuracy. This will be a very helpful tool for you. Having just one quick glance at your chart will give you a good idea on how the stock is doing relative to the 50 day Moving Average. If the 50 – DMA is on the rise, it means that the stock has strength. Therefore, there is more buying than selling at this point. Please take note too that when the stock is strong, one of its important support level is the 50 – DMA. On the other hand, if the 50 – DMA is experiencing a fall, it essentially signifies a weakness on the stock and on the average, there is more selling than buying activities. During the period of weakness of the stock, the 50 – DMA will serve as its resistance. 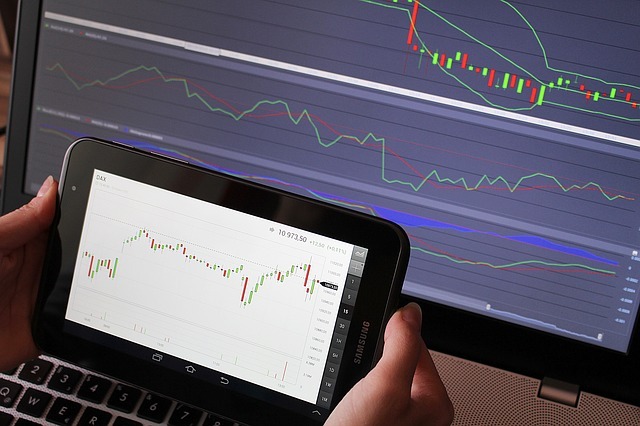 There are shorter time frame indicators such as the 22 – DMA (22 signifies the number of the typical trading days made every month) has its advantages. This is because it smoothens out a lot of bumps that are in the shorter term moving averages. Take note though that using the 22 – DMA is quite important too, and it also has its advantages. Contrary to what you might think, it really is not complicated to analyze stocks. It will be more advantageous for you to use the simple techniques that are available such as the one we have presented. However, you should combine this technique to other techniques for you to have a better understanding on how the stocks will be. No single technique can be used on its own and result to a good analysis of the stocks. Always consider other technical factors too along with the 50 – day Moving Average.